For my money, Four Seasons Residence Club Aviara is one of the best luxury family-friendly vacation values in the United States. We just returned from a week at Aviara - the fourth time we've visited in the past decade - and I wanted to share with you what I share with friends who I talk to all the time. With so many vacation options available, we return to this property again and again even though we now live on the other side of the country. Four Seasons Residence Club Aviara is a high end hotel timeshare in Carlsbad, California about 30 miles north of the San Diego airport. Aviara is one of several Residence Clubs in the Four Seasons portfolio, but is by far the largest and one of just two that are viable for week-long or shorter stays. Four Seasons Residence Clubs combine the quality, service, and amenities Four Seasons Hotels are known for with spacious villas that make them ideal candidates for family vacations. Aviara is an appealing destination for its near-ideal climate and proximity to southern California attractions. Legoland, Sea World, the San Diego Zoo, and Disneyland are all within an hour's drive. But the resort is so nice we often find ourselves relaxing by the pools and enjoying the spacious 1,600+ sf accommodations rather than exhausting ourselves driving all over the area. When we're staying at Four Seasons Aviara I feel like every evening is Friday night and every day is Saturday. And there are no chores. I love it. In the 1990s Four Seasons Founder Isadore Sharpe was visiting Palm Springs and noticed other hotel brands getting into the timeshare business. Hilton, Marriott, and Disney were all building successful timeshare businesses and Sharp thought Four Seasons could do it even better. It makes sense, right? The timeshare market has historically been kind of dodgy. But when hotels put their mark on a property it gives you a sense of the standards they have and makes you more comfortable staying at unfamiliar destinations in their portfolio. Aviara was the first Four Seasons Residence Club, followed by Scottsdale at Troon North. There are other properties in the portfolio (currently Punta Mita, Costa Rica, Jackson Hole, Vail and Florence) but the others are more like fractionals where owners commonly purchase multiple rather than single weeks. As a result, Aviara and Scottsdale are two properties to look into if you're interested in visiting these areas and you like the idea of Four Seasons quality with space to accommodate a family. 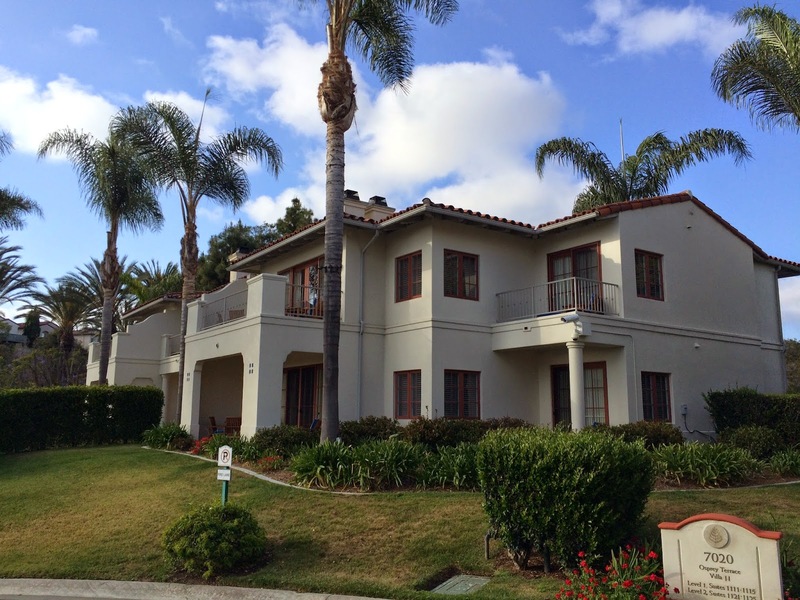 Aviara itself is a master-planned community with single family homes, condominiums, and apartments. The community is manicured and a delight to walk around, but I never would have discovered Aviara if not for Four Seasons. In the late '90s Four Seasons developed both a hotel and the Residence Club at Aviara. But in 2010 there was a parting of ways between the owner of the hotel and Four Seasons. Unlike other hoteliers, Four Seasons doesn't own any of the properties they manage. They typically enter into multi-decade management contracts and own a small fraction of the property so they have some skin in the game. The owner of the Aviara hotel evidently didn't like the agreement they had in place with Four Seasons and opted to break their contract and enlisted Hyatt to manage the property. In 2010, the hotel became a Park Hyatt - their top mark for resort properties around the world. The Residence Club continues to be managed by Four Seasons. But the split was unfortunate for Residence Club owners and guests who would no longer have access to hotel amenities like the hotel spa, tennis courts, golf course and pool. On our last stay in 2013 we were still allowed some hotel access. But on this stay in 2015 the only hotel amenity we were able to enjoy were the restaurants. When General Manager Demi Ortega arrived at Four Seasons Aviara in 2012 he set out to establish the property as a complete and self-sufficient private residence club. The Residence Club is just finishing a $6M renovation that captures this vision. There are three areas within Aviara. From top to bottom elevation-wise: Osprey, Summits, and Meadows. As part of this renovation, the Meadows area is extensively transformed. The Meadows lobby, where guests register upon arrival, was completely reconfigured and redesigned with a modern, Spanish Mission-inspired design. The gym was completely redone and now offers open-air yoga classes overlooking the new Palmera Pool. A new Driftwood Spa was developed complete with a nail salon and a full menu of spa services guests staying at the Four Seasons would expect. The most exciting component of the renovation is the arrival of the new Seasons restaurant. Before the Hyatt split, in-villa dining was prepared within the hotel kitchens. Since the split, room service and poolside dining was prepared at small kitchens adjacent to the pools. It was a rather makeshift affair and the breadth of the menu was limited. But the debut of Seasons promises to make dining a strong suit of the property. On this most recent visit, we met with Executive Chef Jonathan Sudar for a walk-through of the new restaurant spaces and kitchen a couple weeks before they were scheduled. It's going to be something special. Whereas the current menu gets tiresome after a couple of meals, the dining areas at Seasons could potentially keep things interesting for an entire week. The space starts with a new coffee area with light breakfast items. This will be flanked by a retail wine component. 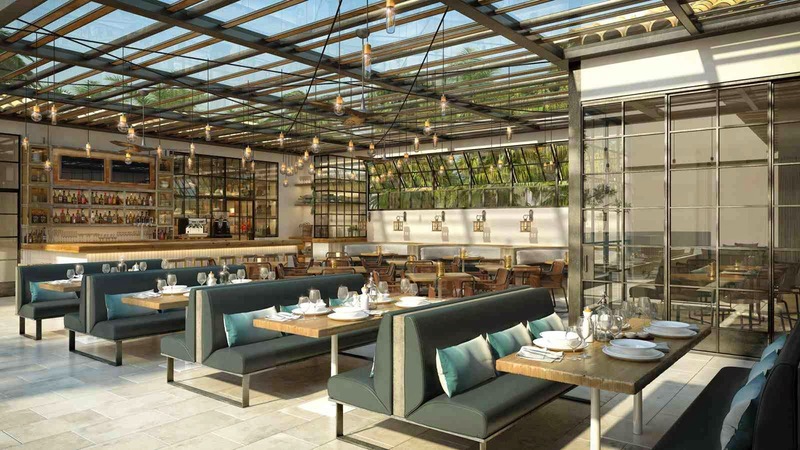 Table service dining at Seasons will offer breakfast, lunch, and dinner in an amazing new space (see concept renderings here). The new menu will feature seasonal, locally sourced ingredients. The most innovative concept is the new "Taste the Senses" experience. Reminiscent of a chef's table, the fully renovated space opens up to the Palmera pool and the kitchen, offering guests either a front row seat at one of six tall chairs or a community table that can be booked for a group of twelve. This would be a really nice celebratory component of a week-long stay. Imagine an exhibition kitchen with a view of the pool. Once this renovation is complete, expect the same design aesthetic to be implemented at the Summits which is headed towards being the more kid-friendly of the two pool areas. In addition to the Club 760 kids room, look for a splash pad, small playground, and renovated gym in the future. This was the first time we visited since the full split from the Park Hyatt. The grounds and room were immaculate and as gorgeous as ever. Upon arrival I'm always amazed at just how incredibly nice the place is. We were greeted with complimentary sparkling wine and the kids got water bottles. 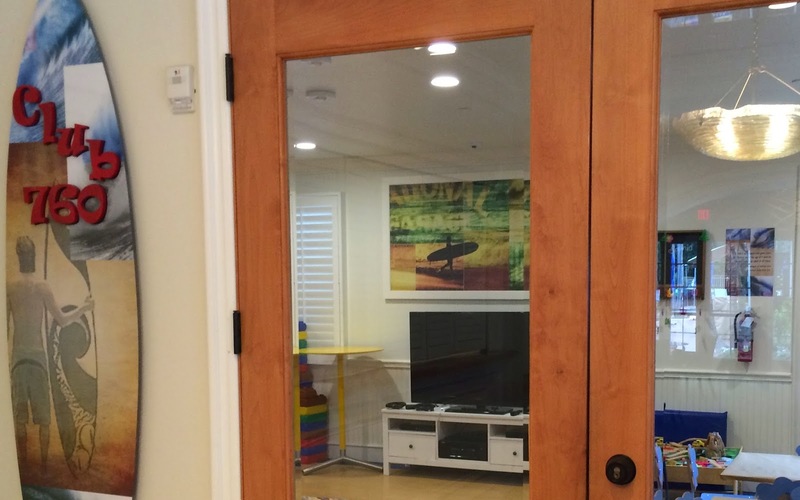 We requested and received a 2 bedroom unit in the Osprey section of the property with distant Pacific Ocean views and a small grass yard the kids enjoyed. The aromatic plantings, especially in spring, make walking around the property a real treat. Highlights of this trip included security, the housekeeping staff, and their social media team. On our first morning there, my 10 year old son stepped on and got stung by a bee on the pool deck. I thought at first he was just frightened because he stepped on a bee but right away I could see the bee's stinger in his foot and the area around it swelling up. I asked a pool attendant for some ice to help with the swelling. They obliged and then within just a few minutes, at 8 am no less, a security guard with an amazingly kind bedside manner arrived with a sting kit. Thankfully my little guy isn't allergic to bees and the topical pain killer they provided really helped him feel better quickly. The security guard even called later in the day to personally check up. Outstanding service. Classic Four Seasons. You never know how you're going to need service at a hotel. Housekeeping was consistently outstanding. The villa was spotless as usual upon arrival and well-timed with when we were out of the unit. Daily housekeeping is a rarity at timeshare properties and it is so nice to walk into a tidied-up villa each afternoon. Units are equipped with a washer/dryer which makes light packing for a week-long family trip a breeze. On the third day of our stay we started the clothes dryer before leaving for the day. When we returned our clothes were neatly folded on our bed! I could get used to that. So nice. Their social media team, a new addition for this free-standing Residence Club, was ever on the lookout for ways to delights guests who engage with them on social channels. They picked up some chatter about how we enjoyed a visit from the Ice Cream Man at their Chicago property. And wouldn't you know, on the third night of our stay, build your own ice cream sundaes were delivered to our room after dinner with a note from them. Nice! We were visiting during Massachusetts spring break in mid/late April which is not a vacation week for California schools. As a result there were very few kids on property. So few in fact that some of the activities we'd enjoyed in the past weren't offered. Daily nominal-fee activities like magic shows for the kids didn't occur. Due to the split with the Hyatt, the kids golf clinic wasn't an option any more. Basically, the only family-friendly activity were the [fantastic] S'Mores event and open daily access to Club 760, an unsupervised kids room with Xboxes, Wii, computers and train table for the smaller set. It works well for kids in the 8-14 year old range I'd say, after they've enjoyed the pools but grown ups might want to relax a little longer. It's a welcome addition for sure, and during peak times some counselor-driven activities are offered. There's still plenty for families to do however. The pools are always a hit with us. The signature Four Seasons pool setup conveys here and pool service was generally very good. Upon entering the pool area, we were almost always greeted immediately and set up with towels over comfortable lounge chairs, provided ice water and menus, and attended to graciously for however long we visited. For younger guests there are 1-foot deep pools at both Summits and Meadows. While we were there, the kids were on their own at Club 760. Which is mostly fine for older kids, except for when there's a problem with a gaming console or the kids are curious where to find other titles to play. For this it would be nice to have some minimal staffing nearby at the Summits even during off-peak times. As it is, you have to call a concierge down at the Meadows which is a long walk or shuttle ride away which isn't so convenient for minor requests. The kids were minorly disappointed they couldn't enjoy some of the amenities the Park Hyatt now controls near the Meadows. 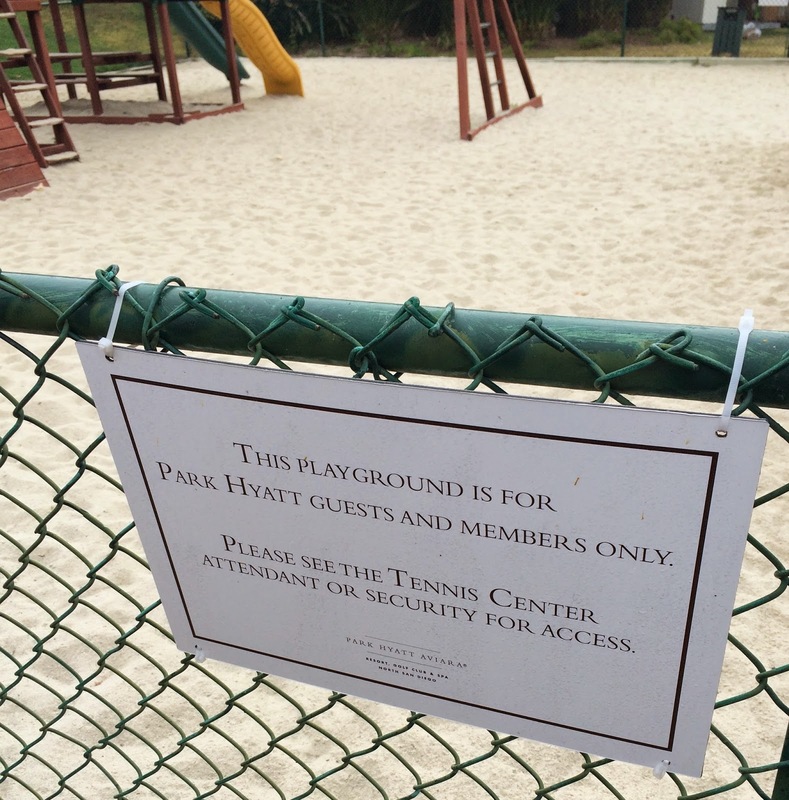 There's a small playground, croquet lawn, and tennis courts that are now off-limits. On prior visits, they also enjoyed a game-room up at the Park Hyatt hotel but on this visit, they couldn't take advantage of this due to the split. So if I step back and look at this through the lens of it being a kid-friendly property it's lost a step compared to prior years. And it's nowhere near as entertaining as the Four Seasons Orlando with its lazy river, dueling waterslides, pools, complimentary Kids for All Seasons program and more. But what Four Seasons Aviara continues to offer is gorgeously appointed villas with a refined residential feel, outstanding pool service, and proximity to southern California attractions in a part of the country with incredible year-round weather. These characteristics appeal to us with young kids who often travel with other family members on vacation. With the continued innovation and improvement at the property, we'll be back. Hopefully again and again. Carlsbad is about 30 miles north of SAN and just under 100 miles south of LAX. One way to play it is to fly into LAX, visit some attractions there for a few days, head down to Aviara, then fly out of SAN. This year we visited in April and for us the weather was nearly perfect. Each day started with substantial cloud cover but as the marine layer dissipates it became sunny and warm enough to enjoy the pool with high temperatures around 68F. Cloudier/cooler days were perfect for visiting outdoor attractions. We've also visited in December and February and at those times we were still able to enjoy the pools most days. But on some days it was quite chilly and we were mostly bundled up in towels enjoying the ambiance rather than sunbathing. As humans we're quite finicky in terms of allowable variation in temperature for ideal weather. But for my money San Diego weather is as good as it gets in the continental US. It's almost always a good time to visit Aviara. Here's a listing of the average monthly high temperatures in San Diego. It's worth noting that Four Seasons Aviara is not on the beach. It's not even particularly close to the beach. It takes about 10 minutes to drive to the Carlsbad beach from the resort. And since I'm not a fan of lugging chairs/towels/umbrellas to the beach when I could be enjoying poolside service I've never gone to the beach in the four times we've visited Aviara. For me, a perfect day at Aviara starts with a cup of coffee and a little web browsing. Then a walk around the beautiful masterplanned community down to the Batiquitos Lagoon. Then head out for a light-duty attraction like the Scripps Aquarium, Seaport Village, or San Diego Zoo Safari Park. Hit a restaurant for local specialties like fish tacos, Mexican food, or the latest burger phenomenon. Then back to the pool for an afternoon swim or nap. Then enjoy a glass of wine in our villa with some music in the background as the sun goes down. Then dinner - usually casual take-out from a nearby eatery like Daphne's California Greek. Once a week I'd do something bigger like Sea World, the San Diego Zoo, Disneyland, or Legoland. Or a Padres, Angels, or Dodgers game. Once a week (usually the first night we're there) I'd do in-villa dining. And once a week I'd visit Vivace at the Park Hyatt. I really enjoy taking in the wonderful AAA Four Diamond (here's their list) dining experience just steps from the Residence Club. Our most recent visit to Vivace was even better than we remembered it. So elegant, so good. If you're a planner or need a specific week because of vacation restrictions I'd say you're probably best off renting a week from an owner. If you're doing this for the first time you'd probably be most comfortable working with a broker. I've happily rented from timeshare broker TRI West before. Owners list their available weeks with them, the owner pays the broker a commission, and if you can find a week that works for you at a price you like it can potentially be a great deal. Although you do have to pay up front, you don't have to worry about getting fleeced by an unscrupulous scammer since you're working with a broker. The biggest risk is that you book a prepaid week and if for some reason you can't make it, you're out of luck. You could potentially try to get them to rent it to someone else but I'd say the chances of that working out well are low. Once you get comfortable renting through a broker you might find better deals working directly with an owner. You can find rental listings on sites like VRBO and eBay but I like finding listings through RedWeek. RedWeek connects timeshare owners with people who want to rent or purchase. There's a nominal fee to join RedWeek as a renter but it's free to browse listings. There's an option to add a third party broker to rental/resale transactions on RedWeek but I've never done this and have instead worked directly with owners/brokers who list on RedWeek. I typically send half the rental amount to the owner then the remainder when I've been notified by Four Seasons Owner Services that the week has been transferred to me. Once the transfer occurs you're treated like a first rate owner for the duration of the experience. It's great. Here's the listing page for rentals on RedWeek. My target price for a week-long 2BR rental is $2,000-$2,500. Rates tend to run higher in the summer. When comparing rental rates from an owner to Four Seasons directly keep in mind that when renting from an owner, taxes are included. Tip: You can sometimes get amazing deals via RedWeek on short notice. Subscribe to alerts for your favorite properties especially if your travel dates are flexible. For shorter stays it's worth considering booking directly from Four Seasons Hotels. A percentage of the inventory is available as a hotel booking and the property often offers 3rd night free deals which can significantly decrease the price of a stay. 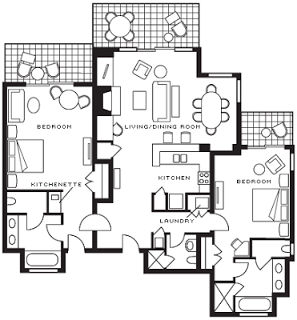 Most commonly they rent studios and 1 bedroom units, but 2 bedrooms may be available if you call. Check here for rates, availability, and offers. When renting from Four Seasons directly you have more date and cancellation flexibility. A tempting angle to stack with a direct hotel booking is the 4th Night Free benefit that comes with the Citi Prestige credit card. The card has a very high annual feel but the signup bonus and ongoing travel benefits make it a no-brainer if you like to travel. It has been especially handy for us to arrange concurrent visits with family through a combination of booking methods. For example, if we have a week planned far in advance, nearby family can easily book a long weekend around the same time. And we can enjoy getting together for meals in larger villas and spending time by the pool together. 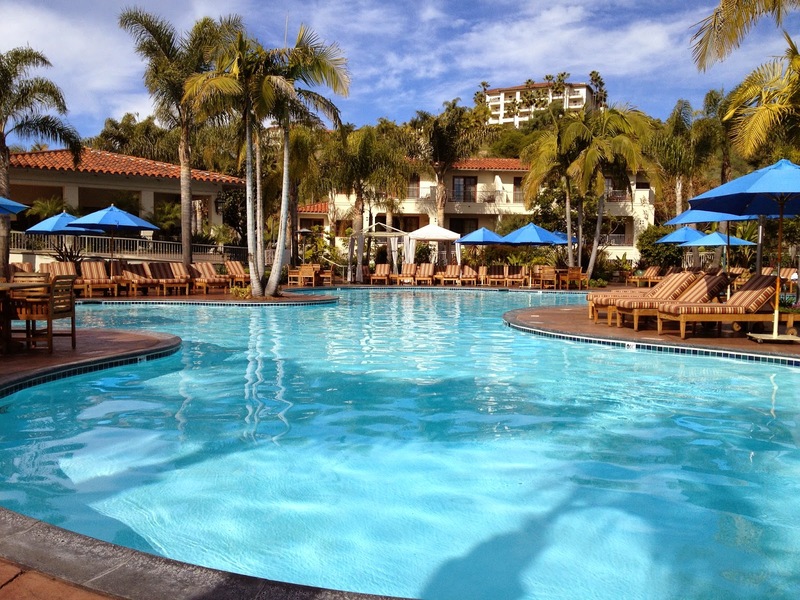 Four Seasons Residence Club Aviara continues to be a vacation destination we look forward to visiting again and again. 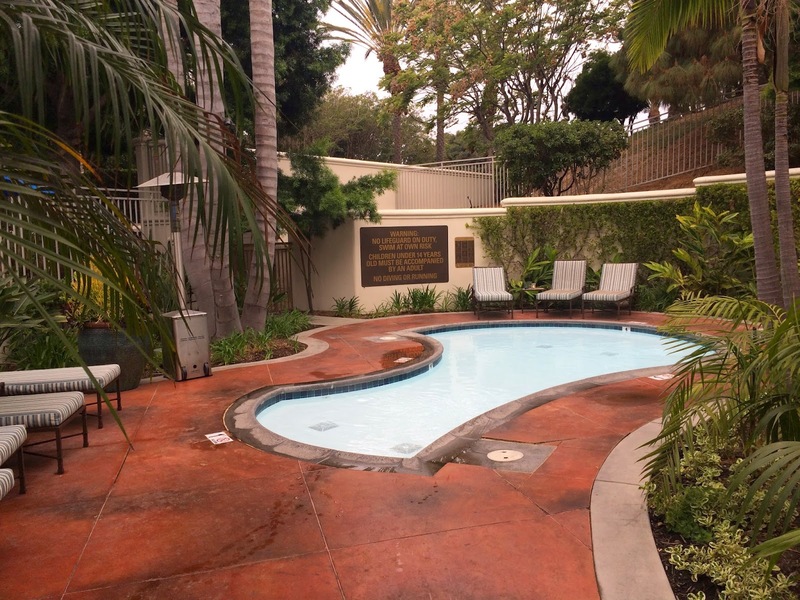 If you're looking for luxurious accommodations and Four Seasons service in a residential setting in southern California it is absolutely worth considering. The property is absolutely gorgeous. I wish there were more Four Seasons Residence Club properties like Aviara around the world. The reason I say that is because it provides a way for us to enjoy a week away in a space that comfortably accommodates us at a price I can justify in my mind. That said, there are some fantastic Four Seasons Hotels (like Orlando) that provide a bit more in the way of family-focused amenities. You just have to give up the space Aviara offers and depending on your travel dates adjust your budget expectations. That said we'll continue to work Aviara into our vacation rotation because every single member of our family has had a truly great time each time we've visited. It's become a special place for us and that makes each visit even more special. Update (6/5/2016): We had a chance to go back and visit Seasons Aviara restaurant a year later. It was spectacular. Here are my thoughts on their Chefs Table. Questions or comments? Ping me on Twitter @RobertDwyer or drop me an email. Question of the Day: What are some of your favorite family-friendly vacation destinations? Here are 3 of my favorites.